Woke up early morning today at 7.30am, get ready and went down stairs n some breakfast. 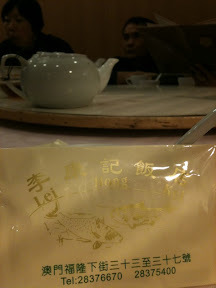 We had chi fan n soya milk. Then I had 'put jai gou'!!! 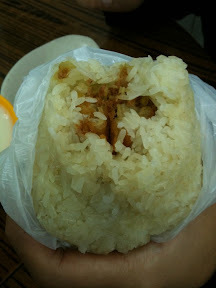 I've always wanted to try this cuz this always appear in hong long drama, so now I finally tried it! 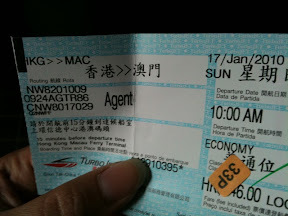 After breakfast, we went to take bus to ferry terminal to go to Macau! 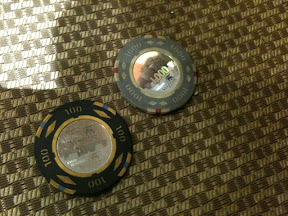 Gamble time! 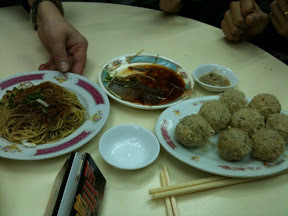 Special kind of fish ball, ha ji noodle, fish skin(so crunchy!!) 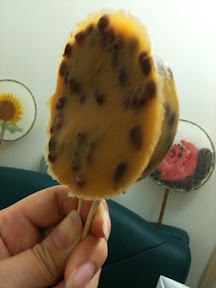 for lunch n tea time. 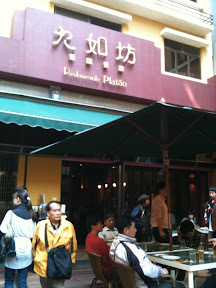 After that we went to this restaurant to have shark fin soup! 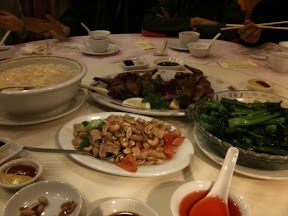 Macau is famous with shark fin n some local delicacy. I think we had most of the good ones. 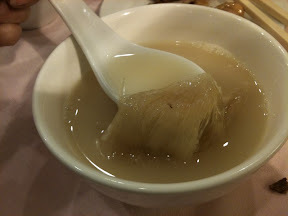 Look at the piece of shark fin!! 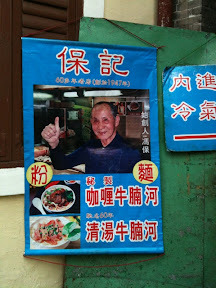 Freaking nice man the soup! 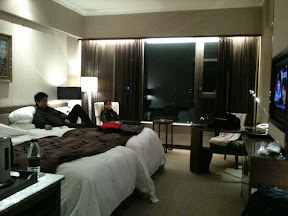 shud have asked you to take more pics to steal the design for our home sweet home.